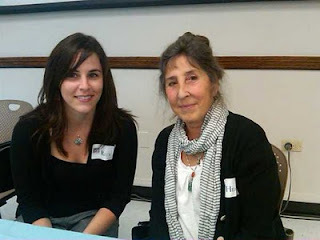 As part of my job as children's librarian, (and as a perk of being on a children’s new book review committee at the library), I often have the chance to meet/listen to/speak with authors and illustrators in the field of children’s literature at publishing previews, library programs, etc. These are almost always fun, informative and a good networking opportunity. Plus, they usually give out free stuff. Librarians love free stuff. (Okay, I love free stuff). 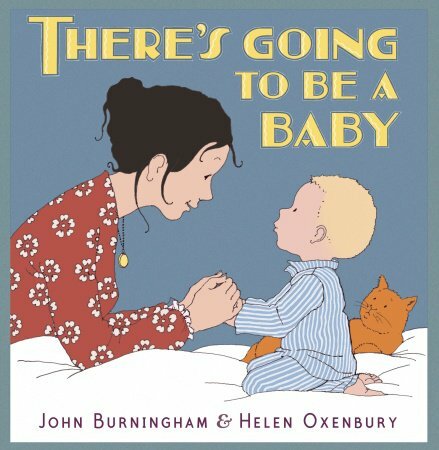 Recently, the library had a breakfast for John Burningham and Helen Oxenbury, (children’s book author/illustrator, respectively), who were in from the UK to attend the Boston Globe–Horn Book Awards ceremony and to talk about their new picture book, There’s Going to Be a Baby (Candlewick Press, 2010). It’s a lovely book. 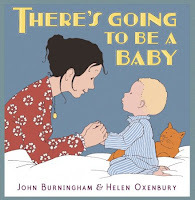 Burningham and Oxenbury are picture book royalty for a reason. After the general conversation between John, Helen, and a well-renowned children’s book editor, I had a chance to personally speak with Helen. As we chatted, I told her that I frequently use the books that she’s illustrated in my storytimes and they get wonderful response. She thanked me, and said that her books don’t always hold the interest of children. She said that while doing a reading of Ten Little Fingers and Ten Little Toes at her young grandson’s school, the children slowly began to lost interest in the book. One by one, they got up from the reading rug and went to explore other areas of the classroom. The only child who remained seated to hear the entire book was Helen’s dear grandson. This anecdote made me feel immediately better about any unsuccessful storytimes I’ve had.